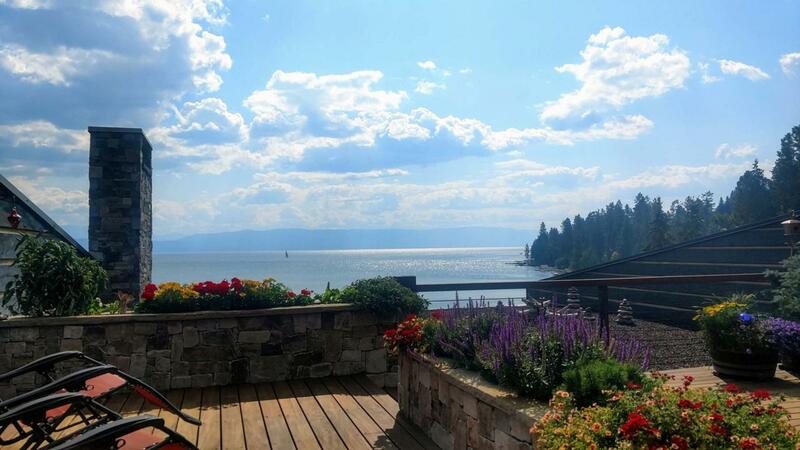 Top tier unit at The Terraces on Flathead Lake! Dynamite lake and mountain views with a full boat slip and shared lakefront access included. Living room features a fully retractable glass wall out to the 1400 square foot private deck. Custom high end finishes throughout and a gourmet kitchen. Three bedrooms, three baths and a separate office that can be used as a 4th bedroom. Amenities include fully equipped fitness center, underground parking garage and private heated storage. Call Patrick Pacheco 406-459-3088, Rebecca Kyle 406-260-5339 or your real estate professional.